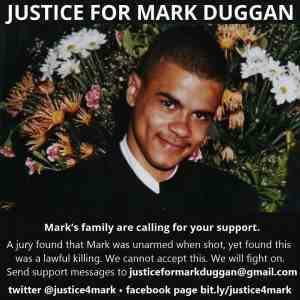 The extrajudicial killing by a police officer of yet another black man Mark Duggan has caused massive outrage in Tottenham (London) where the shooting took place and across the UK. The jury came to the conclusion that Duggan had a gun (hidden in a sock without fingerprints or DNA evidence and with two witnesses testifying that it was planted by police) but threw it an unfeasibly long distance away before being shot by a police officer – even if true, that officer would have noticed he was unarmed at that point! Yet somehow the jury came to the conclusion that the killing was “lawful”. 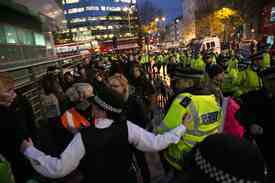 This attack on students is part of a concerted attempt by the British state – partly the police (including the National Public Order Intelligence Unit (NPOIU) within Special Branch that has taken over from the Special Demonstration Squad (SDS) in infiltrating mainly left-wing organisations) but also MI5 and MI6 (otherwise known as the Special Intelligence Service (SIS)) and the government’s spy centre known as GCHQ – to clamp down on protests by spying, infiltrating, collecting massive amounts of data at GCHQ, and analysing that data. As whistleblower Edward Snowden has revealed (amongst many details of encroaching surveillance states around the world), the US National Security Agency (NSA) is using PRISM (a clandestine mass electronic surveillance data mining programme) to collect a huge amount of data (including emails, Facebook posts, web searches and phone call information) and analyse it, partly by computer software but with many human operators too.